When a small cavity or damage to the tooth leads to an infection inside the inner layer of the tooth, our in-house endodontist provides gentle restorative care with root canal treatment. It can feel impossible to get through the day when a nagging toothache makes it difficult to think or enjoy your morning cup of coffee. According to the American Association of Endodontics, 67% of Americans say they’re most concerned about feeling pain when they go to the dentist for a root canal. Fortunately, modern dental technology has advanced the quality of care patients receive to make root canal therapy a simple and comfortable process. Root canal therapy is now a virtually painless treatment, so patients can relax while their dental health is restored and protected. Patients with pain in the back of their mouths or who suffer from an increasingly sensitive tooth may have an infection inside the soft inner layer of the tooth. This inner tissue, known as the “pulp” of the tooth contains nerves that can become inflamed when a broken tooth, weakened tooth structure or deep cavity inflames the pulp and sends pain throughout the mouth, resulting in a toothache, headaches or migraines. By treating the source of the infection, root canal treatment relieves pain in the mouth while preserving the original structure of the tooth. Today’s root canal procedure takes just one or two appointments. 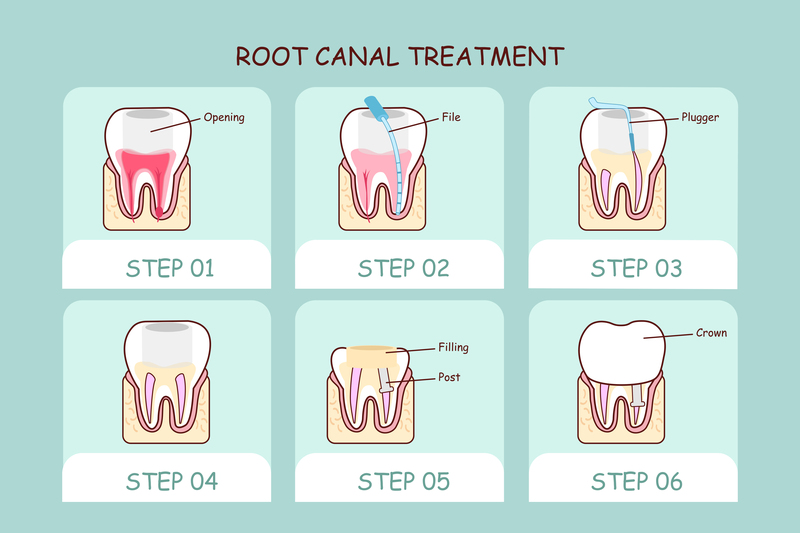 At your first appointment, the root canal specialist (known as an endodontist) will carefully assess your dental and medical health to determine if you are a candidate for root canal therapy. Your experienced endodontist will help discuss your personalized treatment plan with you so that you may feel educated and informed about the treatment process before it begins. When treating a patient with root canal therapy, a local anesthetic is applied to the affected area to remove any pain during the procedure. Next, a small hole is made at the surface of the tooth to reach the source of infection, located in the soft inner pulp of the tooth. The infected tissue and irritated nerve endings are removed to alleviate future tooth pain, and the inside of the tooth is disinfected and filled with a rubber like substance known as gutta-percha, which supports the tooth from within. Once the treatment is complete and all sources of damage or decay have been treated, it is highly recommended to follow up with a permanent filling and dental crown to support a strong and healthy tooth and protect the future of your radiant smile. After a simple root canal treatment, you’ll leave the office able to effortlessly enjoy eating and drinking with your new and improved smile, and feel happy knowing you protected a tooth that could have been lost, back to its natural look and strength. When it’s time to go in for a dental exam or six month checkup, it’s important that you always feel comfortable, safe, and understand exactly what your treatment plan will get you. At the Vienna office of Dr. Priti Naik, DDS, we prioritize your health by using conservative treatments to deliver treatments with high accuracy and precision–at no extra cost of your stress or wallet! 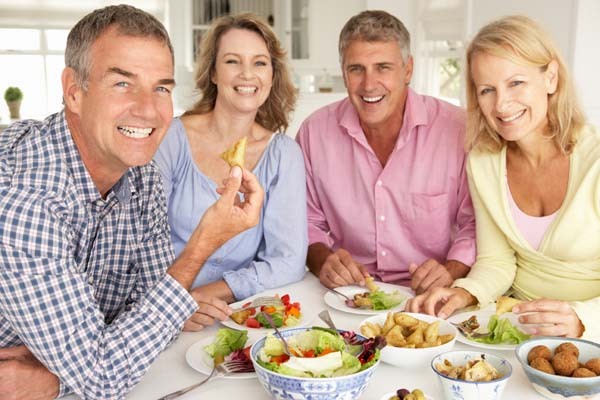 When you contact our team at 703-288-1800, we can partner with you to help you reach that healthy, confident smile you’ll love to share with your family and friends.